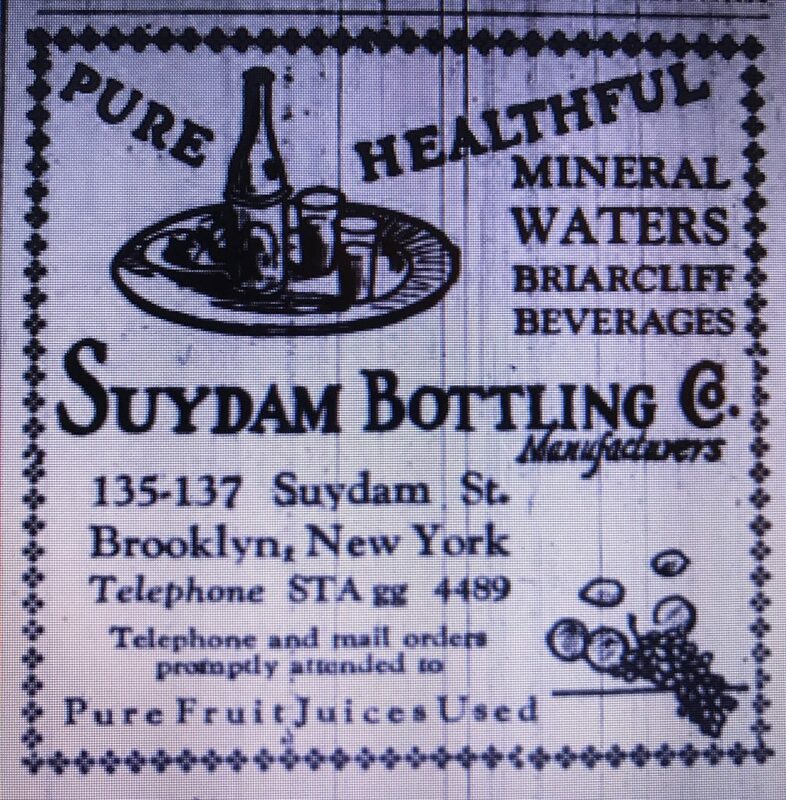 Suydam Bottling Co., 135 Suydam St., Brooklyn, N.Y.
Suydam Bottling Company was listed in the Brooklyn Telephone Directory from 1917 through 1940, always at 135 Suydam Street. 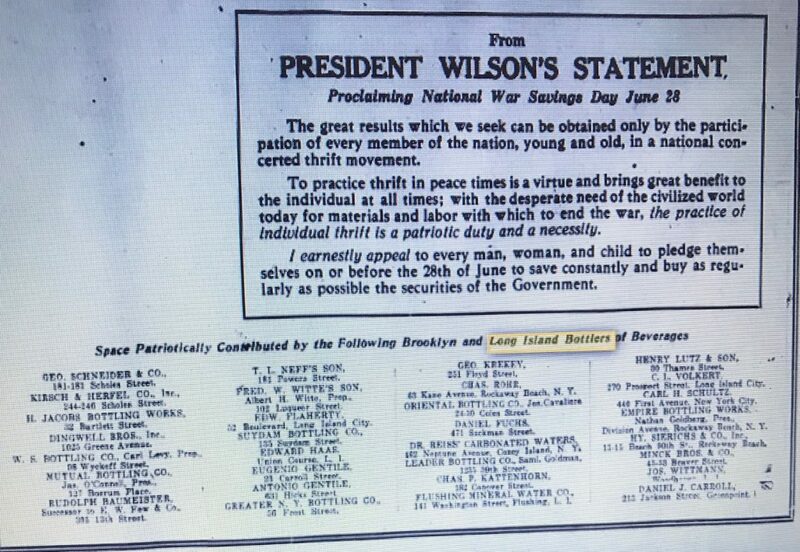 Suydam was one of many Brooklyn and Long Island Bottlers of Beverages that “patriotically contributed” advertising space in the June 27, 1918 edition of the “Brooklyn Daily Eagle” that contained a plea from Uncle Sam to Brooklynites to sign a pledge card to purchase war savings stamps to fund the war effort. 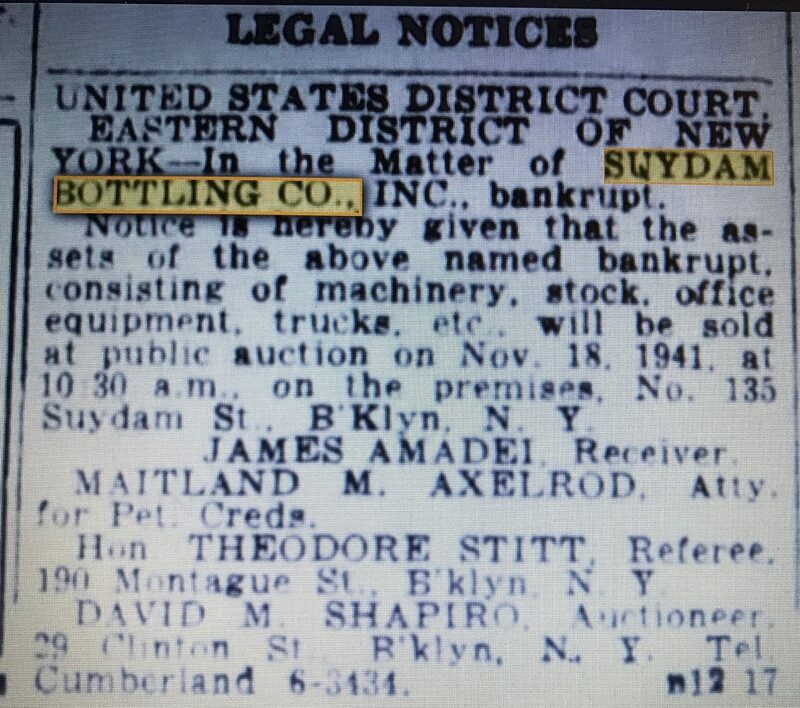 In 1941 the company declared bankruptcy and their assets were sold at public auction on November 18, 1941. Today, 135 Suydam Street is a one-story brick building with several garage door openings that dates back to and was probably used by the business. The bottle I found is machine made (27 oz); probably from the 1920’s. I haven’t seen a mouth blown example of this bottle on the Internet. 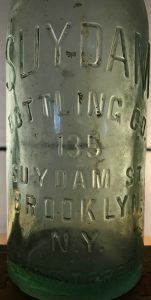 Previous Previous post: Suffolk County Bottling Works, Amityville, L.I. Next Next post: Trommer’s Evergreen Brewery, Brooklyn, N.Y.